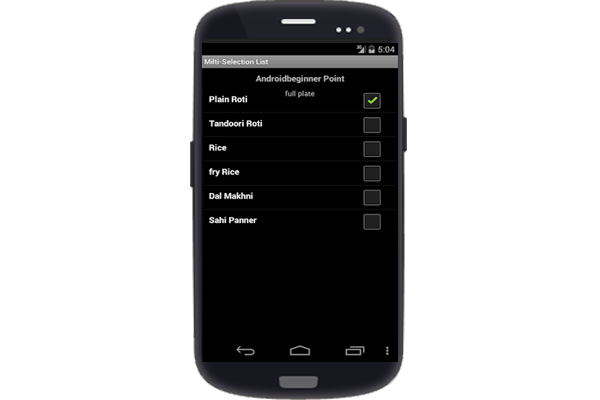 In this blog we will explain how to implement Custom ListView with CheckBox and TextView in android. 1. In this code Add some Extra functions Multiple choice with Counter, how Much select user list Item 1,2,3,4,5 etc according to Requirement. 2. Explain how to update ListView row via index. Step 1. first ,you can create item Entity class inside the src folder. in this class set the textview and Checkbox. Stepe 4. create adapter class inside src folder.